Based in the traditional heart of legal London, we are a modern, energetic, forward looking set of expert tax counsel with wide experience of UK and international tax related matters both as advisers and advocates. 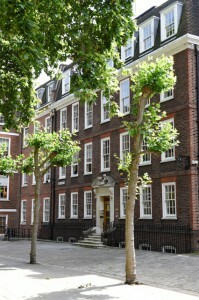 We are expert counsel in all areas of tax and between us we have advised clients including governments, multinational enterprises, wealthy individuals, charities, celebrities, tax authorities and small medium and large businesses from all parts of the world on all areas of UK law and all aspects of double taxation and tax related human rights law. We have also represented our clients as expert advocates throughout the UK court system, from top to bottom, as well as in the European Court of Justice, the Privy Council and in courts across the globe. Although we were formed in 2014, we have over 100 years of experience as tax advisers and advocates. We are affable and approachable, work hard for our clients and aim to give a really top class service. Please discuss with our Practice Managers, Marie Burke and Stephanie Talbot, how we can best assist, or just speak to us direct if you prefer. We are very pleased to announce that Katherine Bullock has joined Field Court Tax Chambers. Katherine Bullock was called to the Bar in 1988 and was formerly a tax partner and Head of Private Client Services for PwC and a tax partner and Head of Private Client Services for Europe, Middle East, India and Africa at EY. She is a highly experienced and highly rated practitioner. She is recognised as one of the Private Client Practitioner’s Most Influential Private Client Advisers in the UK in 2013, 2014, and 2018 and in Spears Top 500 and 50 Top Tax Advisers in 2018. Katherine advises on all areas of personal and corporate tax law, with particular emphasis on domestic and international matters for private clients and their companies, trusts and family structures. Typical areas include succession planning, structuring property holdings, offshore and onshore trusts issues, restructuring or disposing of the family business, tax-efficient investment, setting up charities and residence and domicile issues. Head of Chambers, Mr Patrick Soares: Katherine is a super addition to chambers. Katherine brings with her a wealth of tax experience as a former tax partner and Head of Private Client Services for PwC and Head of Private Client for Europe etc for EY. She is well known in the profession for the depth of her tax knowledge, her problem solving skills and her affability. Imran Afzal has recently been involved in two very high-profile cases, being Littlewoods v HMRC and Clavis Liberty LLP. Imran was junior counsel to the Revenue in the Supreme Court hearing in Littlewoods where the Government succeeded in the appeal. He was also junior counsel (led by Michael Gibbon QC) in the recent Upper Tribunal appeal in the “Liberty” case. For both of these judgments (and others that Imran has been involved in) please click here. Legal 500 have recommended Field Court Tax Chambers and its members in the 2019 Directory. For full details see our News page. 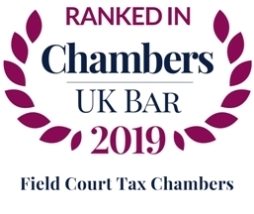 Chambers & Partners have recommended Field Court Tax Chambers and its members in the 2019 Directory. For full details see our News page.